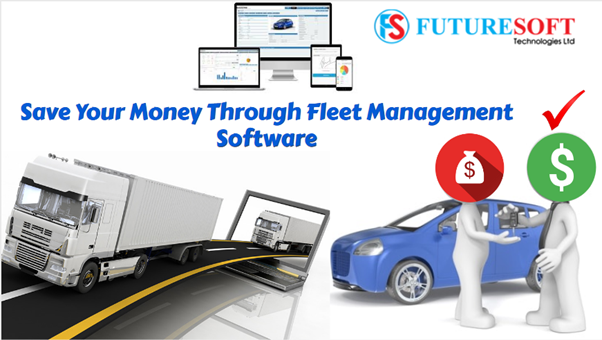 How Fleet Management Software Provide The Best Trends To Save Your Money? Cost reduction in fleet operations is a never-ending battle especially one that requires steady vigilance and total visibility. This increased need for enhanced insight into fleet operations is driving more companies to invest in Fleet Management Systems for their vehicles. So how are you going to reduce the cost of operating your fleet & at the same time enhance the performance of the fleet with total compliance? 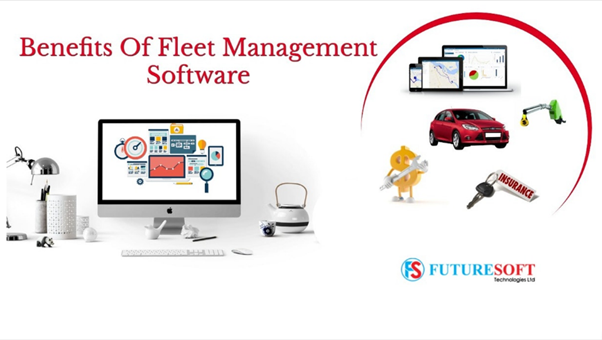 There is only one sure shot solution for these multiple & complex problems related to vehicular fleet operations and it is none other than Fleet Management Software. This specific Fleet Management System has been programmed in such a way that it can enhance the utilization of the fleet operation & can also analyze the strength of the fleet and studies how many vehicles are exactly used for the daily purposes and how many of them are remaining in the standby mode. In this way, this system figures out, if a company has more vehicles than required or falling short of vehicles that are precisely needed for the execution of the fleet operation. One of the main Features Of Fleet Management Software is to enhance & improve the vehicular maintenance cost. This system studies the exact reasons why the maintenance costs are increasing and how it can be brought under control. Hence after a detailed study, it comes out with a list of options & solutions that can eventually enhance the preservation of the vehicle in a better manner without increasing any extra cost. As the overall cost reduction was always its primary task, hence it helps companies in decreasing the out of route miles. It is pretty simple, extended route miles means an increase in extra fuel & rise in prices to fill the tank. Besides this, there are other things that raise cost such as unauthorized trips. Yes, any type of unauthorized trip leads to unnecessary fuel consumption thus monitoring the fleet of vehicles is the only way that can bring such a situation under control. Moreover, some unscrupulous drivers employed by a company engaged in fuel fraud by misusing the fuel funds given to them like a fuel card that some of them use it for their personal purposes hence bringing in the immense loss to a company they are employed with. A Best Fleet Management Software can aid a corporation or enterprise in checking & preventing the mismanagement & misuse of funds. In order to check the rising fuel costs and malpractices like fuel frauds that are rampant among drivers can be brought under control. By modifying the behavior of the fuel consuming drivers in real time, company managers can be able to do that with the help of a highly efficient Fleet Management System which can be able to systematically organize the fuel consumption. It will help them in detecting any type of unauthorized use of the official fuel cards given to the drivers. Moreover, the managers can also be able to penalize drivers who are indulging in any such nefarious activities with a purpose to harm the company for their own personal gain. There is also another way around to reduce unnecessary cost and it is none other than enhancing the safety of the drivers. This software focuses on those areas that make the driver stay unsafe. Thus any added or extra costs can be avoided by modifying the vehicles with extra safety gear, tools, mechanism & extra options. All such minor things help a lot in saving precious money that goes on insurance & liability costs. Every vehicle needs constant maintenance and without it, any vehicle which is on an official duty can get damaged anytime, straightforwardly increasing the costs of the company exponentially. Hence the telematics-based management system evaluates the overall condition of each and every vehicle that further results in correcting the situation without raising costs, such as more yard checks & preventive maintenance. Last but not least, this new & innovative IT-based management system is so well-organized that it can also help a lot in modifying & enhancing the efficiencies of the entire organization. Additionally, it also aids in bringing in huge profits to the company besides cutting the cost of administration & management. With years to come, this system is going to be a big game-changer in shaping the multi-national corporations of the future. The capabilities of Fleet Management Software are immense. With systematic & constant upgrades to this system, the software will help in balancing the economy of every company. In later stages, it can also help & aid countries to manage their economies. To know more about this software, please visit us @ futuresoft.co.ke to enhance your knowledge or Schedule A Free Demo at the earliest. How to Get Started With Using Real Estate Management Software in Your Business? Why It Is Important To Choose The Right Pharmacy Software Development Company? What Is The Payroll Management System In HR Evolution? How A Retail POS Management Software Solution Offer The Magic In Business?